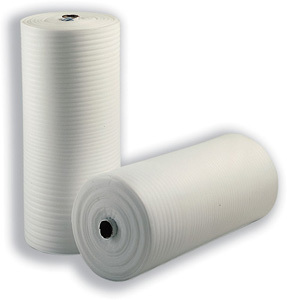 Polyethylene (PE) Foam - All Sizes 1/32", 1/16", 3/32", 1/8" and 1/4"
Movers Warehous, Inc., Home Page > Industrial Items > Foam Products > Polyethylene (PE) Foam Rolls - All Sizes 1/32", 1/16", 3/32", 1/8" and 1/4"
This item is too large to be shipped through the USPS, FedEx or UPS services. However, this item is available for local delivery or local pickup at our Riverview, FL warehouse. If you want this item shipped to you outside of our local delivery zones, prior arrangements need to be made. Our local delivery fees are very reasonable. If you are outside of our delivery zone and you order this item online without prior arrangements, your order will be cancelled. If a payment was made, you will be refunded immediately. If you need a large order, whether one-time or on schedule, you will have to wait 2-3 weeks to be added to our list. We ship truck loads and can’t keep up with the demand. if you plan ahead, we can get you on a schedule. We offer all sizes, so select the size of PE you're looking for and the width of the rolls you're looking for. 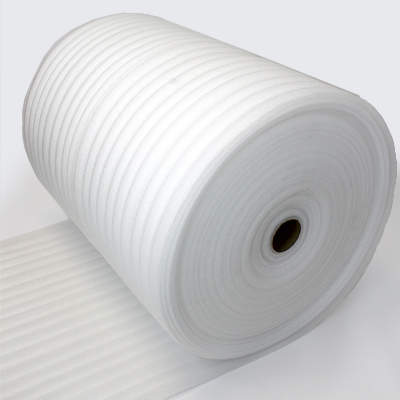 All rolls are perforated at every 12" mark. 1/32” thick rolls come 2,000’ per roll. 1/16” thick rolls come 1,250’ per roll. 3/32” thick rolls come 750’ per roll. 1/8” thick rolls come 550’ per roll. 1/4" thick rolls come 250’ per roll. We are master distributors of Polyethylene (PE) Foam and offer some of the best prices you'll find anywhere in the Southern Region of the United States. If you are a regular buyer, we can work on pricing and maybe fix a regular delivery to your location. Pricing is based on item thickness, the width of the roll and the length of the roll. The thicker the item is, the less material you'll recieve in overall feet. How are our bundles packaged? 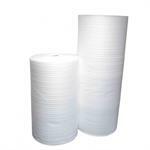 We offer the 24", 48" and 72" total width rolls. If for example you buy the 48" total width package, you will get a solid 48" roll that is uncut (slit). If you need smaller rolls, please order the 24" rolls. The term "slit" means where in the roll the item is cut. A 48" roll slit 24, means it's cut down the middle, so you'll get two 24" rolls for a total of 48".